A stylish woman is beautiful forever. The CANDYCOCO brand was made for a stylish woman. 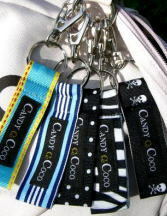 "Candy Coco" is NICONI,LTD. original brand.